Missouri"s capital is Jefferson City. 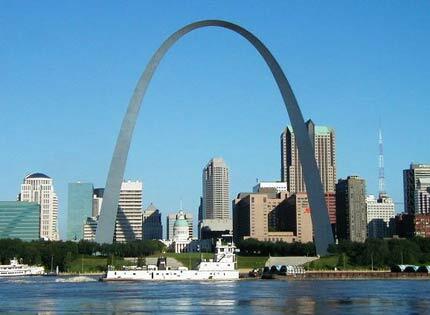 The four largest urban areas are St. Louis, Kansas City, Springfield, and Columbia. Missouri is a transition between the Eastern and Western United States, as St. Louis is often called the "western-most Eastern city" and Kansas City the "eastern-most Western city". The University of Missouri System is Missouri's statewide public university system. The flagship university in the state is the University of Missouri in Columbia. The others in the system are University of Missouri-Kansas City, University of Missouri-St. Louis, and Missouri University of Science and Technology in Rolla. I have a Bachelor's Degree in Music Education and a Master's Degree in Elementary Education with a specialization in Reading/Reading Comprehension. If you are needing help with English / Language Arts or Social Studies, you have come to the right place. I am a certified teacher with 6 years of experience in grades 6-12. I began tutoring as a volunteer through a non-profit organization. When I moved to Seattle, I was offered a job as a tutor in writing and English at a college and I loved it!